Sean Stackhouse is a reporter at NEWS CENTER Maine in Bangor, ME specializing in general assignment reporting. Sean received his degree in journalism from Emerson College in 2018. Sean also received a double minor in political science and sports communication. 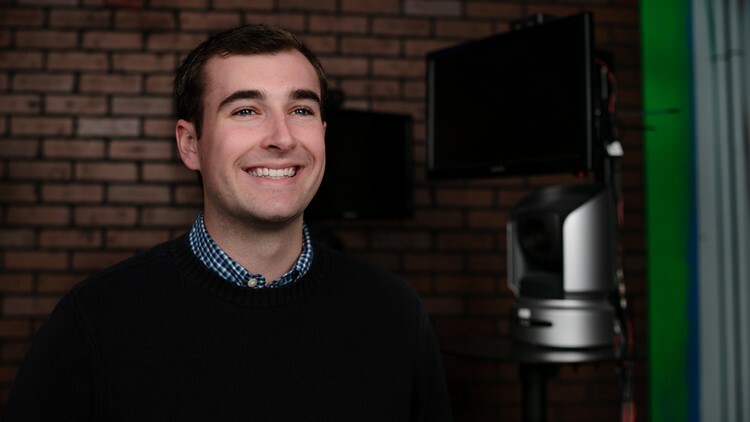 During his time at Emerson, Sean spent time interning with WHDH-TV and Arlington Public News. While in Arlington, he reported on stories including concussion issues in youth sports as well as the future of autonomous vehicles. In 2018, Sean received the Joe Rocco Sports Journalism Award for his feature report “Inside the Grapefruit League” where he reported on the very beginning of the Boston Red Sox World Series winning season. Sean was born and raised in Wolfeboro, NH, and grew up watching NEWS CENTER Maine. In high school, he spearheaded creating a live broadcast of his school’s morning announcement over the local public access station, Wolfeboro Community TV, foreshadowing his career as a reporter. Sean has also spent the past 14 summers attending Camp Fatima in Gilmanton Iron Works, NH. He started as an 8 year old camper in 2004, and ended his camp career as the program director in the summer of 2018. He loves staying in touch with the camp friends he’s made who come from all over the globe. In his free time, Sean enjoys rooting for Boston sports teams, running, and visiting with family, especially his niece, Finley.